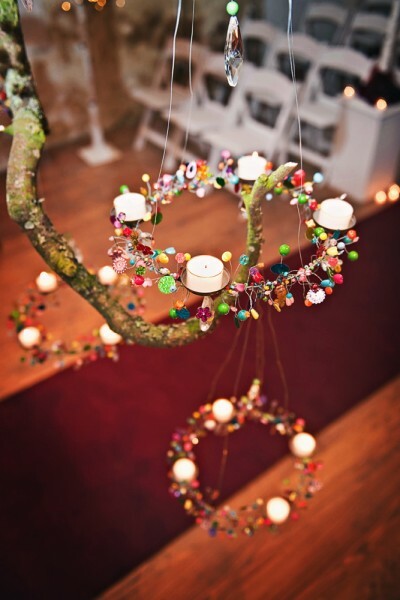 These little charmed chandeliers are quirky, pretty and unusual. 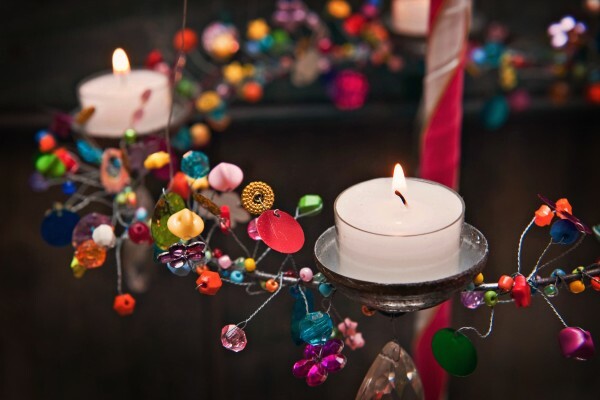 Hang from a ceiling or pair with our handmade stands for dining tables. 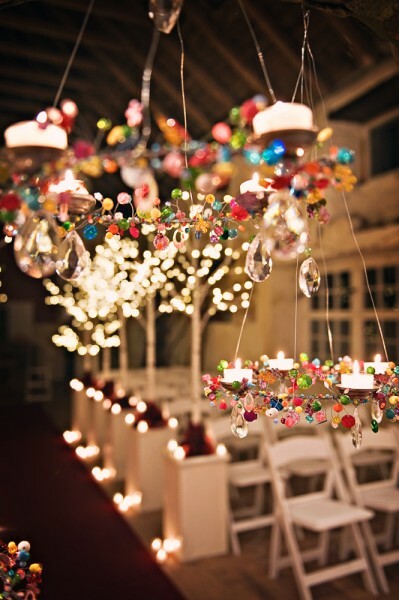 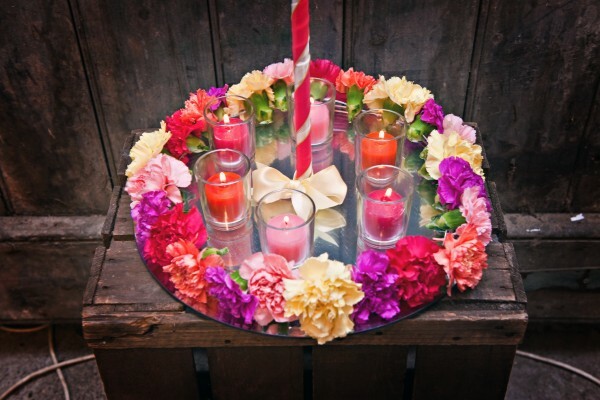 The chandeliers are adorned with colourful charms and have large crystal drops below each candle holder. 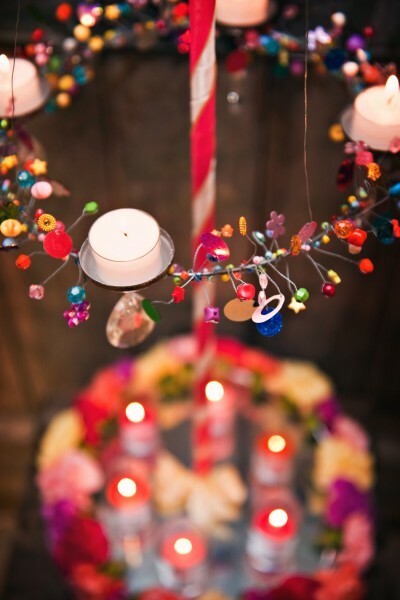 Twist or hang additional vintage jewels on them, dot with flower heads or add colourful ribbons. 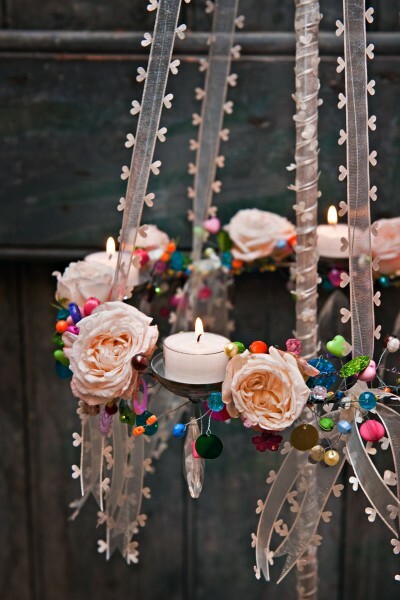 There’s nothing quite like these anywhere, so if you want to be different, these would be quite a talking point!